This salad is not only pretty to look at, but tastes great. It’s super simple to make and very healthy to eat! 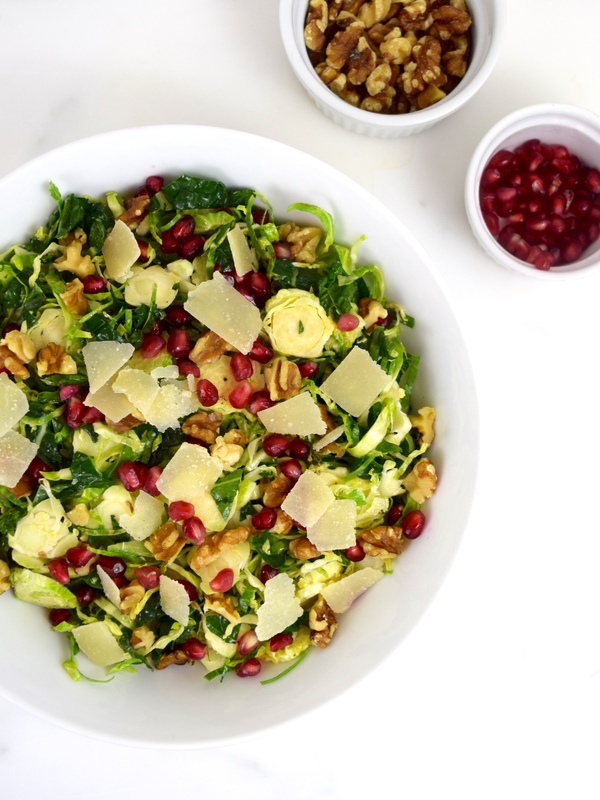 The salad itself just has Brussels sprouts, Tuscan kale, walnuts, pomegranate seeds and Parmesan cheese. The dressing is just olive oil, white wine vinegar, Dijon mustard, honey, salt and pepper. This delicious recipe comes from Williams-Sonoma blog website. The only modifications I made were using olive oil, instead of pricy walnut oil, and reducing the amount of oil. It gets added crunch from the walnuts, sweetness from the pomegranate seeds, and saltiness from the cheese. The dish would make a fabulous addition on any holiday table! 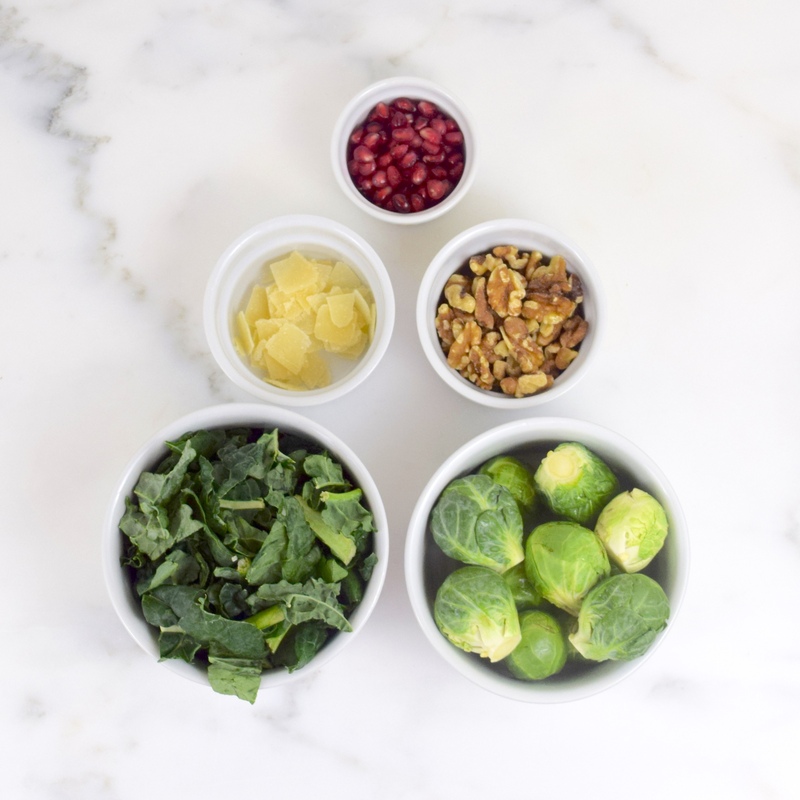 Combine Brussels sprouts and kale in a large bowl. 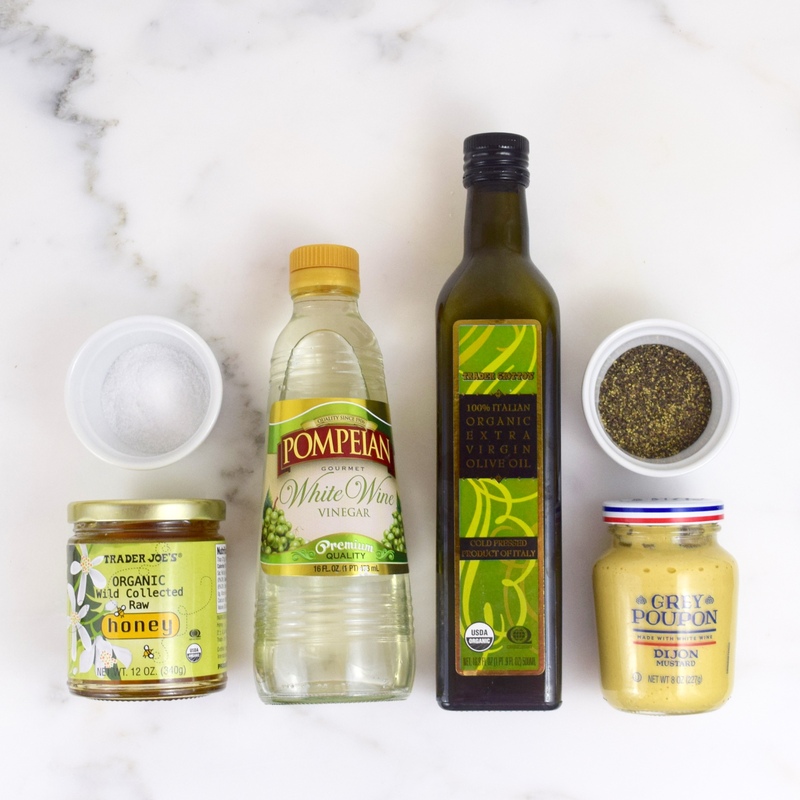 Using a small bowl, whisk together oil, vinegar, mustard, honey and a pinch each of salt and pepper. Pour dressing over Brussels and kale and toss well. 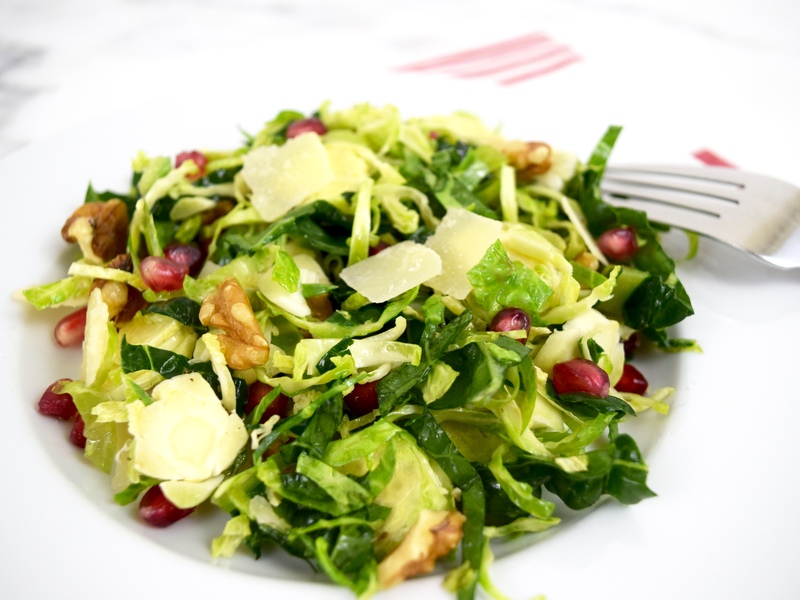 Sprinkle with walnuts, pomegranate seeds, and Parmesan cheese. 6 to 8 servings. I think it is very lovely looking and sounds amazing! Looks so yummy! I love how easy it is to make and how festive it looks! Love a good kale salad, and this looks beautiful! I can’t get enough of this, I love it! I feel like I don’t see brussels sprouts in salads very often, but they make it so much heartier! Since I started blogging, I have become a big fan of Brussels sprouts too. Thank you for taking the time to comment.